Gift Card is the Perfect Gift for Any Occasion, the way to give them exactly what they're hoping for even if you don't know what it is. Recipients can choose from variety of items storewide. 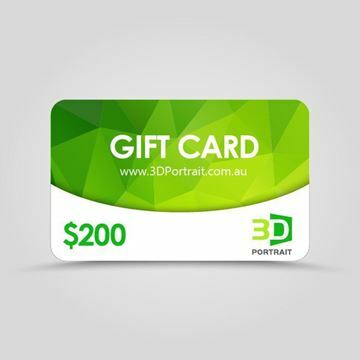 3DPortait.com.au Gift Cards never expire, so they can buy something immediately or wait for that sale of a lifetime. $100 Gift Card. Your email gift card and personal message will send to your recipient in minutes. 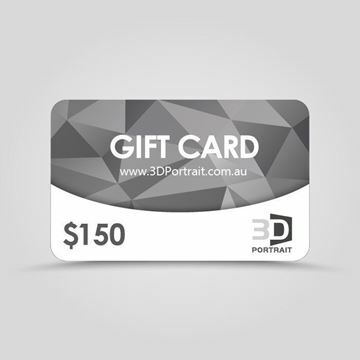 $150 Gift Card. Your email gift card and personal message will send to your recipient in minutes. $200 Gift Card. Your email gift card and personal message will send to your recipient in minutes. 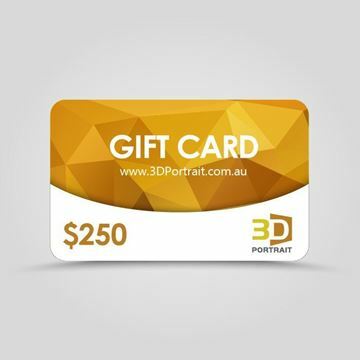 $250 Gift Card. Your email gift card and personal message will send to your recipient in minutes.